Shipped to you FREE, within ONE WEEK of your order! NEW! 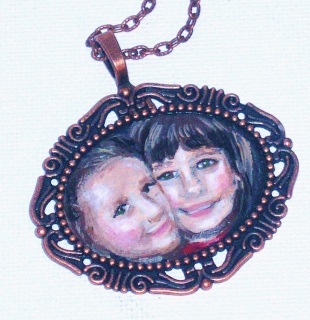 PORTRAIT PENDANTS FROM YOUR PHOTOGRAPHS! I am now offering unique and artful custom-painted portrait pendant necklaces...images of your loved ones featured in miniature paintings on vintage-style pendant frames! Painted from your favorite photographs, they are an artful tribute to the special people in your life to keep as cherished, wearable keepsakes or to give as a thoughtful gift! Antiqued Gold Necklace 20"-26"(please choose the length you would like) w/ lobster clasp, Antiqued Gold Pendant 1/2"
**All artwork is well-protected with several coats of durable finish, which is both water and dirt resistant. I guarantee all my work. NEW! HAND-PAINTED FROM YOUR PHOTOGRAPHS! 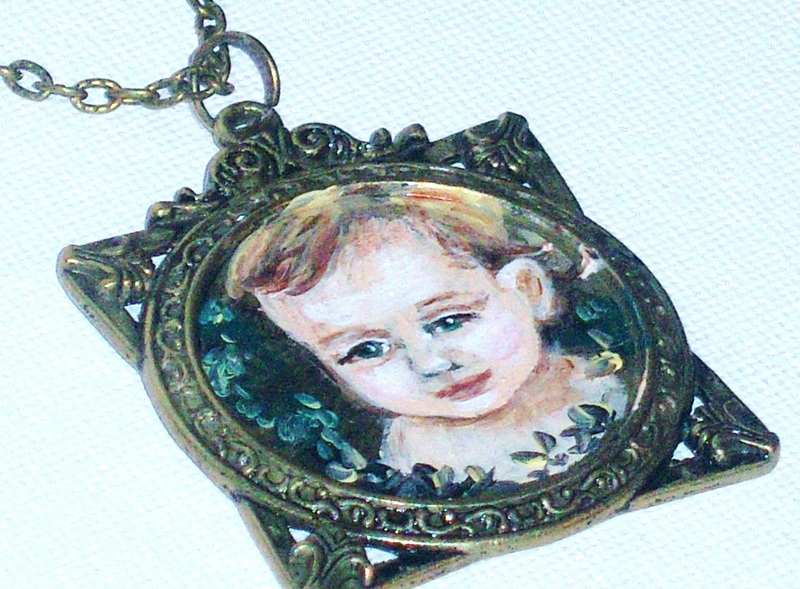 I am happy to offer custom-painted portraits, painted onto pendants and turned into necklaces with a uniquely personal touch! These one-of-a-kind wearable works of art, featuring the special people in your life, will become sentimental heirlooms that will be cherished for years to come! It's super simple to order...just follow the instructions on the custom ordering page...and soon you will have your custom-painted necklace sent to you to enjoy or to offer as a thoughtful gift! *HERE'S HOW YOU CAN ORDER YOUR PORTRAIT PENDANT! 2. Choose your necklace length in the drop-down box, add your pendant to your cart and proceed to check out. 4. I will send you a confirmation email once I have received your information and we can discuss then any special requests you have. 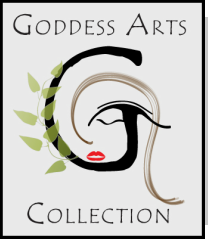 Once we have established that your order information is complete, I will begin creating your personal pendant! Orders are generally ready for shipment to you one week from the time your order is confirmed and upon receipt of your pictures...if there is going to be a longer wait time, I will let you know as soon as possible. 5. Your portrait pendant necklace will be shipped to you, free of charge, for you to enjoy or give as a thoughtful and personal gift, and will arrive to you gift-boxed!